10% OFF our day trading education programs! Learn how to day trade, and potentially enjoy an extra income. Gain financial security by learning how to day trade the markets, as taught by our top moderators, Meir Barak and Scott Malatesta. 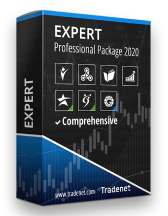 Since 2004, Tradenet live day trading academy has educated more than 30,000 professional traders worldwide. Tradenet is the best and largest live day trading academy in the world. It offers live education to traders through experienced and highly skilled day trading mentors. Tradenet has educated thousands of traders worldwide since its inception. The experienced team of trainers includes some of the world’s leading names in trading, including Meir Barak and Scott Malatesta, who have decades of combined experience in day trading and have been hugely successful. Tradenet Day Trading Academy holds the potential to change the lives of its students and comprehensive programs. Those include self-study course, star trader course, weekly mentorship session, top trader course, and personal coaching, amongst many others. Many challenges and Free Trials. Along with the theoretical education offered in various courses, day traders can learn about the practical applications through Tradenet’s YouTube channel. Tradenet’s YouTube channel has hundreds of videos about all the aspects of day trading. It has day trading tutorials for newbies to learn day trading, like How to Trade Breakouts, Trade Management for Day Trading, etc. The videos also provide education regarding the technical aspects of trading including technical analysis, chart reading, etc. Tradenet will teach you how to trade financial markets using a rigorous, in depth, and hands-on education program. Our education packages are so robust, comprehensive, and meticulous, that they have been ranked among the best in the industry by many of our students. In order to make our education packages even more practical, we have made some of them include the possibility to become eligible to apply for a funded* account, which are provided by a private investment firm. 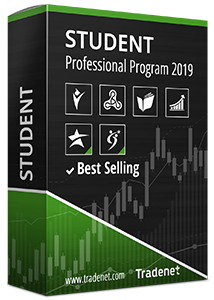 Through Tradenet’s Education Programs, which have been leading the industry in recent years, students learn how to manage their trading account, and improve their mental stamina. Tradenet’s world renowned Education Programs show newbies the way to become successful. They can learn, earn, and grow. Learn to day trade and become a better trader! Another unique feature of Tradenet is its live day trading room. It is the world’s largest and most efficient live trading room. Excellent mentors, like Meir Barak and Scott Malatesta, perform real trades and the new traders can learn live from them. They can mirror their trades and learn from their strategies and executions. Tradenet’s live trading room offers real-time assistance through its team of moderators, live education and trading support, and complete transparency. The live trading rooms show all the trades, including the winners and losers. Tradenet’s Live Trading Room is the most transparent out there. Start our Trading Chat Room Trial and get 14 days to our live trading room. Day trading schools are excellent opportunities for new traders to learn the concepts of trading. The benefits get ramped up when theoretical training is complemented with practical sessions. Tradenet is, thus, the world’s best day trading academy as it offers education courses and packages, along with access to its YouTube channel, and live trading rooms. To get more information about the companies products contact us. Should you have any questions about enrolling to our trading academy, Day Trading education programs, trading chat room or anything else, contact us here and one of our team members will get back to you soon.